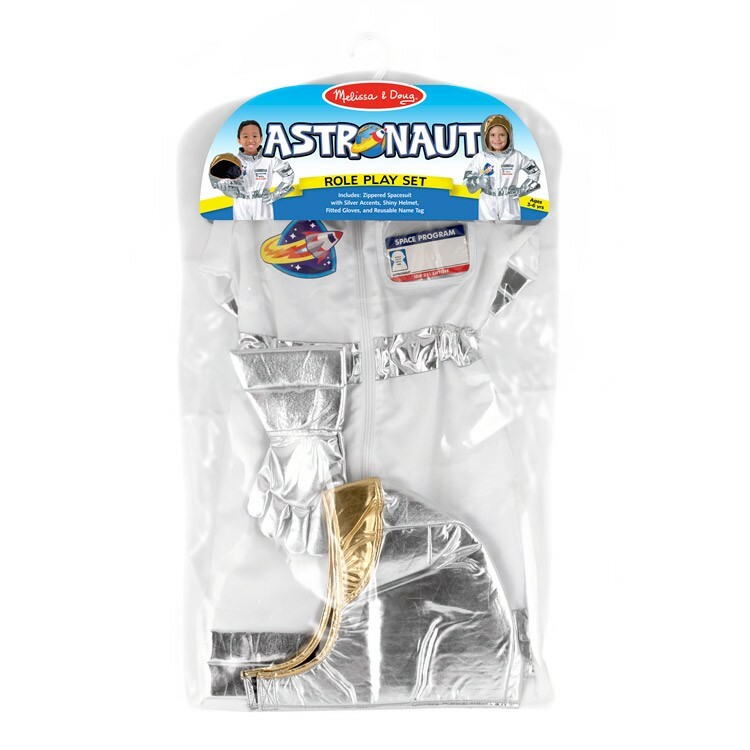 To the stars and beyond your child can pretend fly in this cool Astronaut Role Play Set for kids. 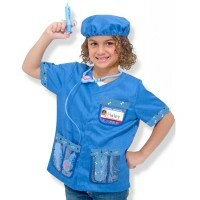 Houston won't have any problems with the little astronaut when he or she wears this perfect space theme dress-up set! 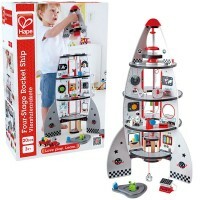 This new Melissa & Doug's role playing set will make your child's imagination go out of this world and inspire the pretend play for hours of fun and years to come. 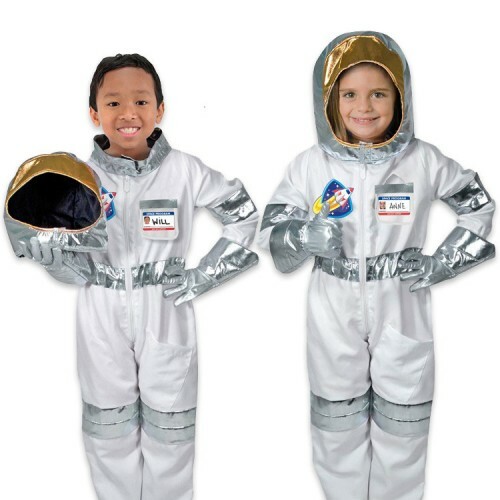 Astronaut Kids Costume Role Play Set fits most space pilots 3-6 years. 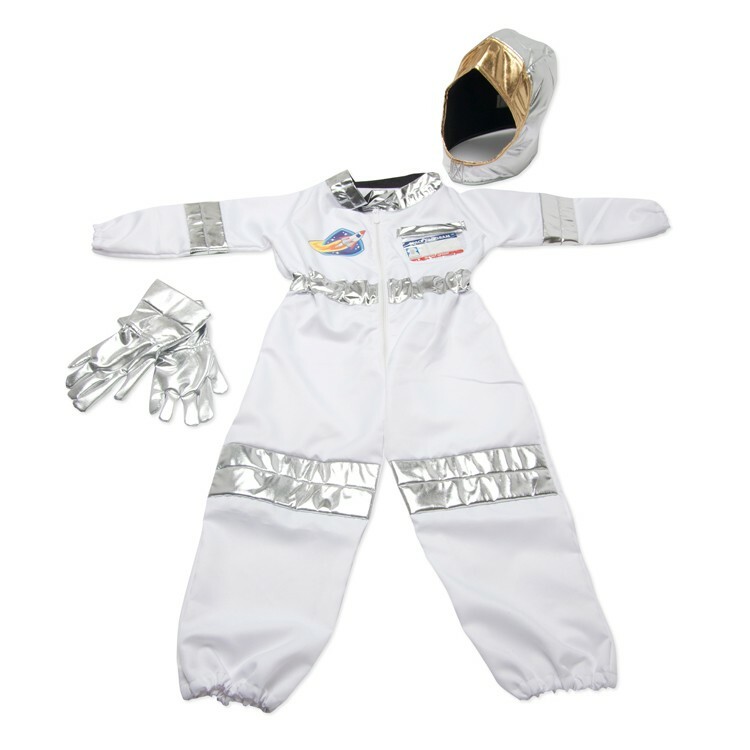 This astronaut costume for boys and girls includes a space jumpsuit, slip on the stretchy silver gloves, and top it all off with the shiny helmet. 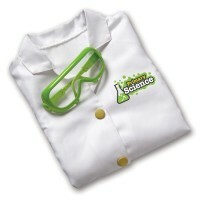 Your young space ranger will be proud to display his name on the enclosed reusable name tag. 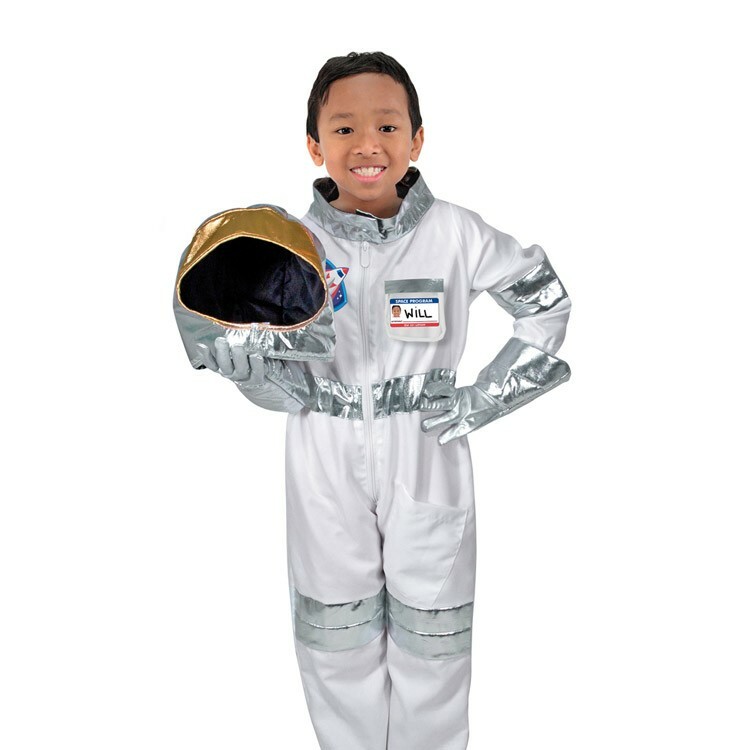 This kids space explorer role playing set from Educational Toys Planet is perfect for the next home-based cosmic mission, Halloween or other costume party, or just a rainy day to play dress-up. 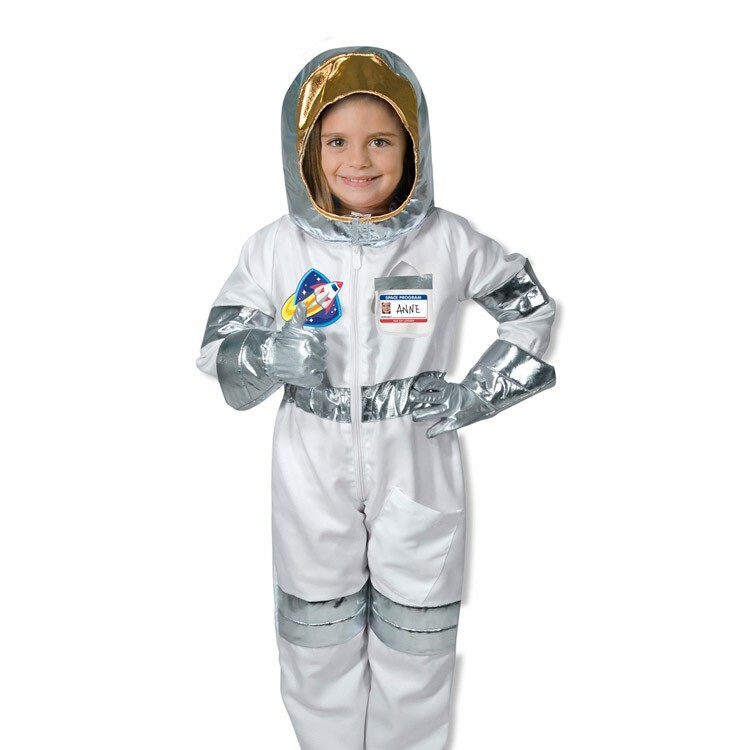 The Astronaut Kids Costume Role Play Set is made of durable materials and is machine washable. 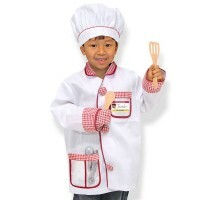 Dimensions of package 2.5" x 17" x 28"
Write your own review of Astronaut Kids Costume Role Play Set. 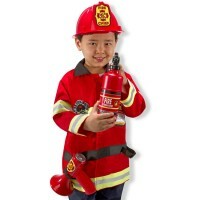 Rating: 5 Great for both boys and girl by Jessica G Pretend play and dress up are so important to child development. 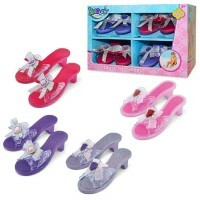 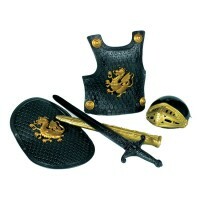 They can learn life skills like dressing themselves while playing with this set. 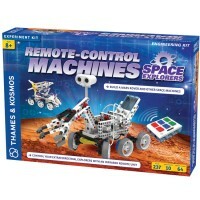 They will also become self-confident, work on their creativity and can even learn a bit about space. 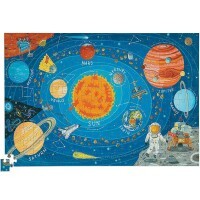 This would be great for a preschool outer space unit. 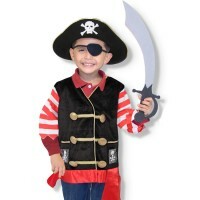 The best way to get kids engaged is to make the subject matter come alive.